Keeping bees is all about connections: between insects and plants; between pollinators and our food supply; between the wonder of learning and the pride of directly participating, and between people who share the art, craft, and science of beekeeping with each other (along with some refreshments). 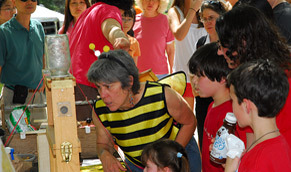 BUMBA Beekeepers participate in numerous public demonstrations and events throughout the year. This photo shows member Nikki Thompson explaining the goings on inside an observation hive at the Summer 2009 Maryland Day at the University of Maryland/College Park. 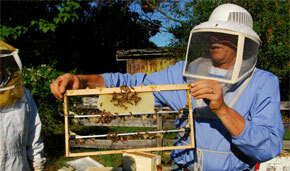 Curious about beekeeping? 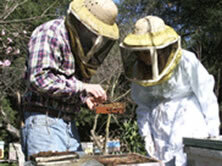 Take a look at some of the most common questions we receive about beekeeping in the Prince Georges County area. There are several ways to launch a new hive, but one of the most common is called "installing a package" (a box!) of honeybees. Have Bees and Need Help? BUMBA has members throughout the Prince George's County, MD, area, including many with decades of experience. Click here if you think you have a swarm of honeybees that needs a new home! 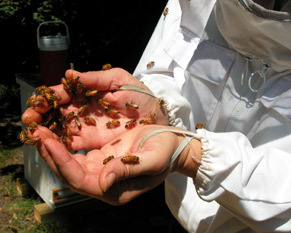 Click here if you are a beekeeper who needs a hand! 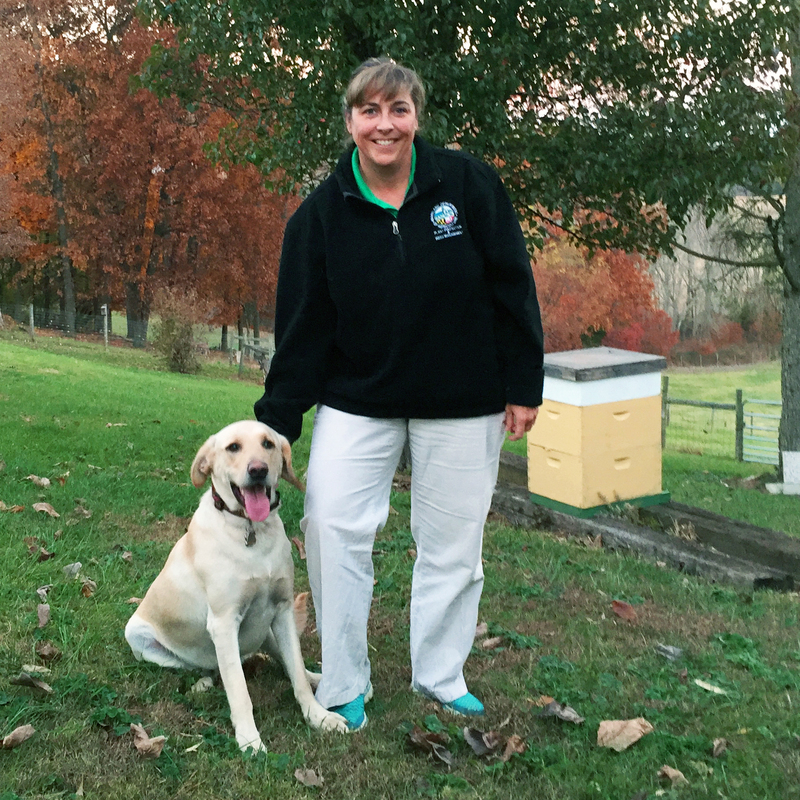 BUMBA's 2019 Beginning Beekeeping Short Course Is Now SOLD OUT! Please join us at a membership meeting in April! © 2019 Bowie-Upper Marlboro Beekeepers Association. All rights reserved.